Cairo: Situated within a stone’s throw of the Cairo Nile, the Ali Baba Cinema for decades drew the poor with its low-priced showings. Until weeks ago, this cinema built in the 1940s treated the audience to three films for 15 Egyptian pounds (Dh3) against 50 pounds at upmarket movie theatres. Last month, the Ali Baba cinema, officially called the Kursal Cinema, was reduced to rubble in order to make room for a new extension of the Egyptian capital’s subway network. 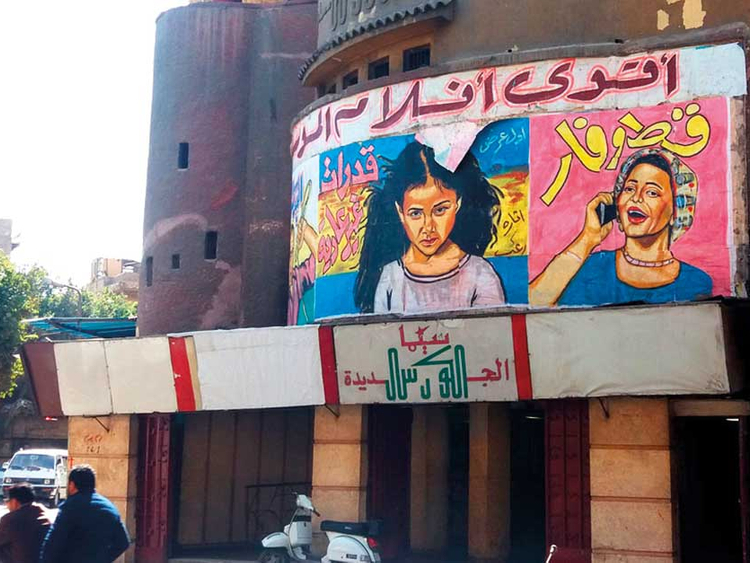 The Ali Baba cinema, in Cairo’s working-class district of Boulaq, had been popular with low-income fans in a country where 27.8 per cent of the population live under the poverty line, according to official figures. “Since my childhood, I used to go to Ali Baba to enjoy its diverse programme,” Saber Sarhan, an employee of a garments store opposite the now-ruined cinema recalled. “I would see two Arabic and a foreign film for a ticket of three piastres [one pound equals 100 piastres]. But that was in the late 1960s before prices have gone crazy,” the 54-year-old man told Gulf News. He said that the cinema was called Ali Baba because it had several corridors inside making it similar to caves in a folk tale about an imaginary character of the same name in the fabled “Arabian Nights”. Sarhan stopped going to cinemas some years back due to lack of spare time. “But I can’t forget my memories as a child and a teenager in Ali Baba and other ‘terso’ cinemas,” he said, using a local reference to third-class movie theatres in Egypt. The term ‘terso’ is derived from the Italian word terzo, which means third. “Tesro cinema” goers were mostly males notorious for their rowdy behaviour. They would react with boos if the version of shown film was technically bad and noisily clap in applause for a steamy scene. A walk around Cairo will show that the majority of this genre of cinemas have either stopped to exist or are shut down apparently due to disputes among the property owners. Believed to be Egypt’s oldest movie house, the Olympia cinema went out of the business years ago. The façade of its building is hidden behind posters promoting the latest brands of cell phones in Abdul Aziz Street, the famous hub for electronics in central Cairo. Egypt’s late Nobel laureate Naguib Mahfouz once said that he watched the first movie in his life in the Olympia cinema. In recent years, the number of low-priced theatres has sharply declined in Egypt, according to critics. “The disappearance of the ‘third-class cinemas’ is mainly due to the rise in prices of their land,” said veteran film critic Tareq Al Shenawi. “These cinemas have been demolished in order to build towers and establish other lucrative businesses in their place,” he told semi-official newspaper Al Ahram. The change of Egypt’s economic landscape in recent decades has also played a role in their demise, according to Al Shenawi. “The craftsmen, who used to be the crowd of the third-class cinemas, became high earners thanks to the Infitah and thus were able to afford the tickets of the top cinemas,” he added, referring to an open-door economic policy initiated in the mid-1970s by Egypt’s then president Anwar Al Sadat. “Meanwhile, civil servants whose financial situation has since worsened are no longer able to go to the top cinemas due to their high prices. At the same time, they shunned the ‘third-class cinemas’,” he said. Nicknamed the Hollywood of the East, Egypt has the oldest film industry in the region. In recent years, Egypt’s film output has dwindled due to economic woes.